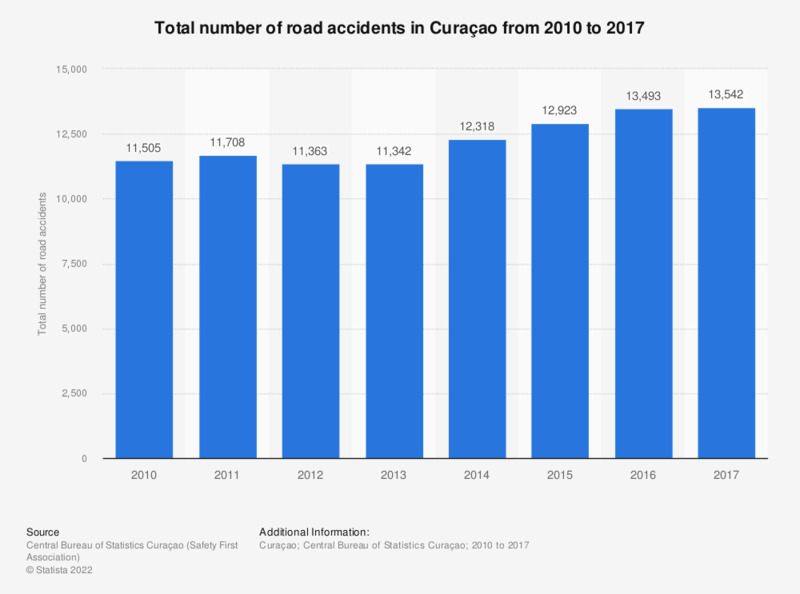 The statistic displays the total number of road accidents in Curaçao from 2010 to 2017. Within the time frame considered, the lowest number of registered road accidents in Curaçao was seen in 2013, when just over 11,300 road accidents occurred. From 2013 to 2017, the number of road accidents in Curaçao increased annually and in 2017, over 13,500 road accidents were registered in Curaçao.